Inspired by the movie Gravity, I decided to create props from real-life objects, rather than Sci Fi props. 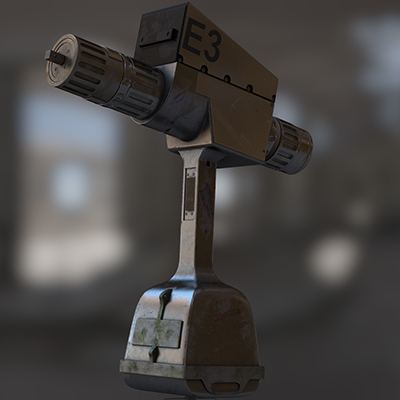 I chose to create a number of props, the first one being the NASA PGT (Pistol Grip Tool). 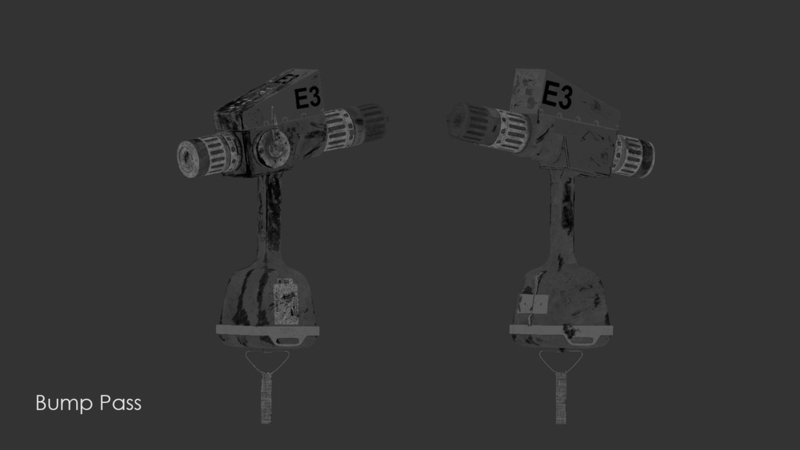 With box modeling by the reference photo I start with large shapes and following this I modelled the more intricate details, using a symmetry modifier to simplify the task. 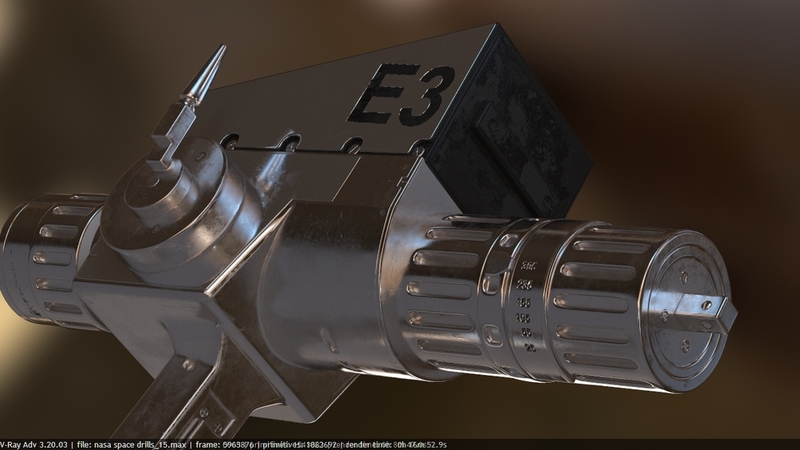 After UV's with Unfold3D I continued with Mari to create the diffuse, reflection, gloss, bump maps in 3DMax. 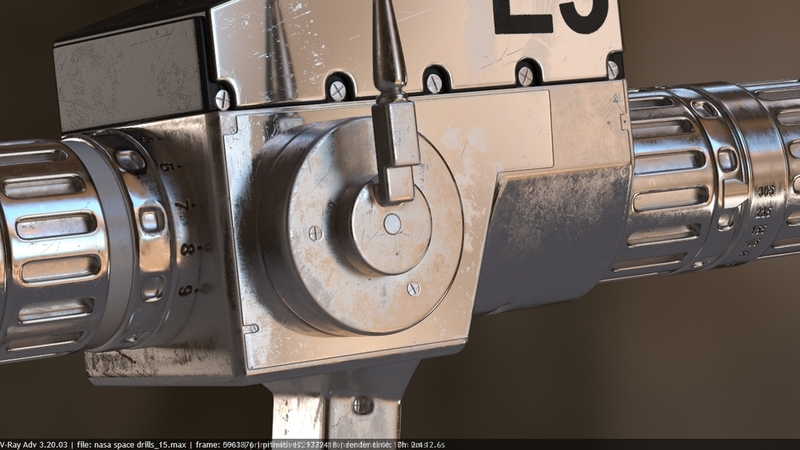 I used Vray multi sub material. This is a wonderful source of metal references and explanations of the material and how they react. I chose to use alloy metal, with black & white plastics. one of my mentor selection was to add more heat & burning marks like rainbows when welding. another experiment i did was to use Displace Map only in areas that i want, so i discover that when i'm using transparent as the background i'm not effecting the geometry that i don't want to be effected, while i tried to keep the geo in the same structure with Vray Displacement there was a slight offset to the whole object.